The following year, the Merchants and Manufacturers Association developed a report on the feasibility of a privately financed bridge, stretching between Bay Shore and Tolchester, to carry inter-urban trolley lines across the Bay and down the shore. Talk of a double-deck structure to carry both railroad and trolley lines was circulating in 1919. These ideas were carried a step further in 1927, when a group of Baltimore businessmen was authorized to raise funds to build a Bay Bridge. Detailed plans were developed, but the 1929 stock-market crash put an end to this venture. In the early 1930s, several commissions were appointed to plan for the bridge. However, all of these efforts required federal aid, which, unfortunately, was not forthcoming. As the automotive age dawned, the changes first noted in 1907 had multiplied a thousand fold. 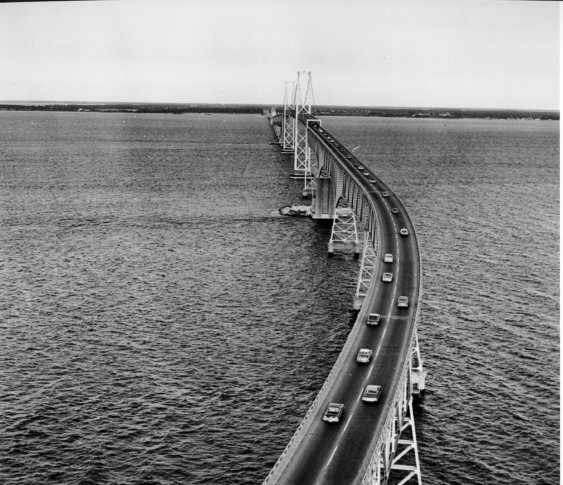 The change in State administration that occurred in January 1951 enabled Governor Theodore McKeldin to move forward with completion of the bridge. In honor of the man whose leadership led to the long-awaited crossing, the bridge was rededicated on November 9, 1967, as the William Preston Lane Jr. Memorial Bridge.